Love solving crimes, ginger beer and picnics? Meet Enid Blyton’s fearless gang of crime-busting friends. In their third mission, the Secret Seven create a new tree-house meeting place… only to have it invaded by an intruder. The gang are furious, until they realise that the culprit desperately needs their help. Can they lend a hand – and foil a gang of robbers at the same time? Secret seven is an absolutely amazing series, wish i was part of a secret society like that. 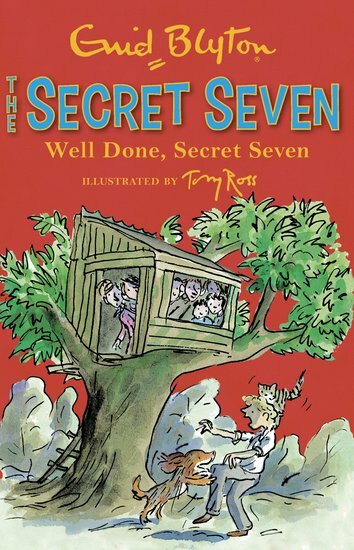 This one of the best secret seven books ever it even has a treehouse . Blyton’s novels are always excellent, and a great escape for small children into her world. However, the Secret Seven books also tend to be rather sexist even in modern editions, which puts me off. Great for young children but some of the values are questionable!